South America is an exotic and thrilling region to take a cruise. It's appealing to all types, from those looking for the adventure of a lifetime, to those who want to leisurely sit back and soak up some of the area's most unique and interesting cultures. If you choose to specialize in South American cruises, it's important to note that, like many areas, the industry is very seasonally based. Your flow of clients will likely ebb and flow based on the time of the year. South America is growing in popularity, and while it has not reached the level of interest of Europe or the Caribbean, it is well on its way. By specializing is South American cruises you may be able to fill a niche that is not yet filled in your community. The area remains generally stable and a continued growth in business can be expected. Even if one region becomes less politically stable, there are many different regions in South America, and it is easy to redirect your clients to a more reliable area given the time period. The Galapagos Islands are a unique area with some of the most rare and unique species found on Earth. Nature lovers and amateur naturalists are drawn to the area for its specific organisms and fascinating ecosystems. Cruises to the area can range in length from 6 to 26 days. Live aboard yachts offer some of the most in-depth experiences around the Galapagos. There are many different companies that run cruises to the area and each varies in the level of luxury and style of travel available. Celebrity Cruises is one of the largest cruise lines that offers trips to the area. Alternatively, there are many different smaller and locally based companies that provide cruises of the Galapagos. If you are recommending a regional company that you are not familiar with to your client, it is best to read reviews ahead of time to ensure that the quality and style is what your clients are expecting. Many cruise lines also offer add on excursions to the trip. 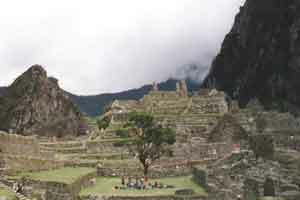 These include everything from trips to Machu Picchu in Peru to trips to the Ecuadorian or Peruvian Amazon. Round the Horn cruises generally travel between the cities of Buenos Aires and Valparaiso. They last at least twelve nights, but can be substantially longer if that is preferred. 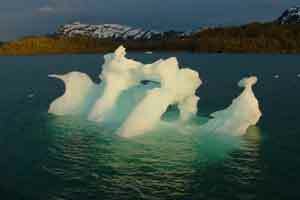 They go passed the southernmost tip of the continent, known as Cape Horn, and pass north of Antarctica. During this time they pass by some absolutely breathtaking scenery including the Chilean fjords and ports such as Puerto Madryn, Port Stanly on the Falkland Islands and Punta Arenas, among others. This truly does offer your clients a once in a lifetime experience. A trip to Antarctica is a dream of a lifetime for many people. Cruise ships are currently one of the easiest ways to visit the area. Although they are far from cheap, this is still the most accessible way to get to this region. There are several options when cruising to Antarctica. You can travel directly from Argentina and go straight there. Most of these cruises leave from Ushuaia, which is Argentina's southernmost port. Alternatively, you can combine a trip through Antarctica with a longer trip around South America. Do take note that some cruises do not actually allow passengers to disembark, but instead provide simply a viewing opportunity. More expensive cruises do actually stop so passengers can experience the continent. Make sure both you and your client fully understand the itinerary that comes with their cruise. If they hope to disembark at Antarctica they will likely have to pay substantially more for this experience. There are several types of cruise ships that make the trip to Antarctica. The larger, more traditional cruise ships are usually the ones that do not actually stop at Antarctica. They may instead allow passengers to do a shore excursion (for a hefty price) that is a day trip to the area. This may include a helicopter or plane ride and weather often causes cancellations. For those hoping to fully experience Antarctica, they may be better served by visiting on a medium sized ship or even a small expedition ship with ice-hardened hulls. Many people dream of visiting the Amazon River by cruise. It is possible to do this with a mainstream cruise company. There are cruises that focus specifically on Brazil. They generally begin or end in Manaus and stop at several ports which may include Santarem, Parintins, Alter do Chao, Recife and Devil's Island. If you have a client who specifically wants to explore the Amazon River region, then they may be better accommodated by traveling with an expedition vessel. These more adventurous cruises usually explore the Upper Amazon River area. Because South America is such a large and diverse region, it can appeal to all types of travelers. As with any cruise you arrange for your clients, you should make sure you recommend a company that specializes in the type of travel they enjoy. Several cruise lines are well know for certain niches of travel. In particular, in South America, Holland America's ships Veendam and Rotterdam are great options for seniors. Those travelers who are looking for a large ship with lots of amenities will likely appreciate Princess Cruises' Star Princess. Luxury travelers will enjoy RSSC's Seven Seas Mariner, and Lindblad Expeditions is recommended for those looking for an adventure. Budget conscious travelers will appreciate the Celebrity Cruise ship Infinity.